[Cornish Guardian] Firefighters from Launceston are pictured earlier today attempting to control a blaze that broke out in a vehicle used to transport horses. The fire crews had been called to Hurdon Road near the town where the vehicle was already well alight. Firefighters used equipment to help them breathe and hoses to help them tackle the blaze. It is not yet known if any horses were on board the vehicle when the fire broke out. Read the original story at the Cornish Guardian……. 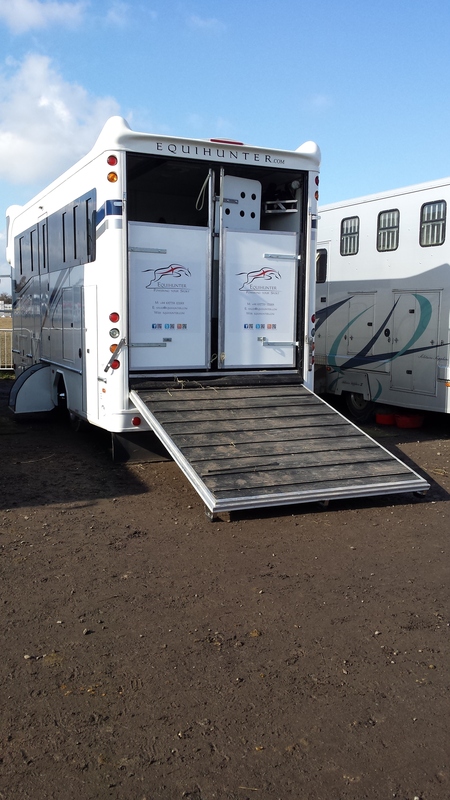 [Equihunter] Our latest production model of the Equihunter Arena was rolled out of the workshop yesterday, and what a lovely sight it was. Yesterday was a watershed moment for Equihunter as we completed our latest project, the newest vehicle to join the fleet was unveiled, this time based on a Fiat Ducato Long Wheel Base chassis. 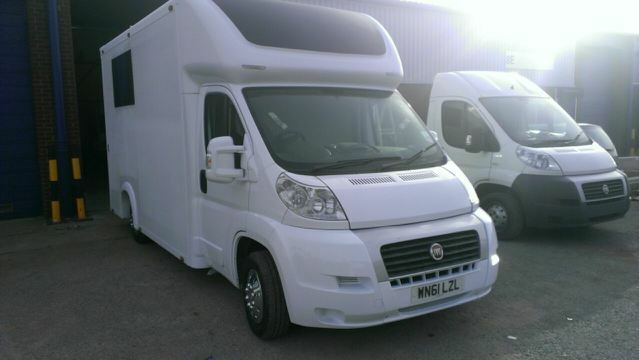 The sleek lines of the Fiat Ducato perfectly complement the curves of the Arena, as the early morning sun bounced off the fresh paintwork that was finished in our classic Arctic White we now just need to add the graphics to complete the magic. Orders are being take now so for more information, please contact …..
[South Wales Evening Post] A collision between a horse box and a car left eight people in hospital, one with serious injuries. The incident happened at around 9pm last night on the M4 motorway westbound between junctions 36, Sarn and 37, Pyle. The horse box became detached and the Terrano ended up on its roof. Read the full story at the South Wales Evening Post…. 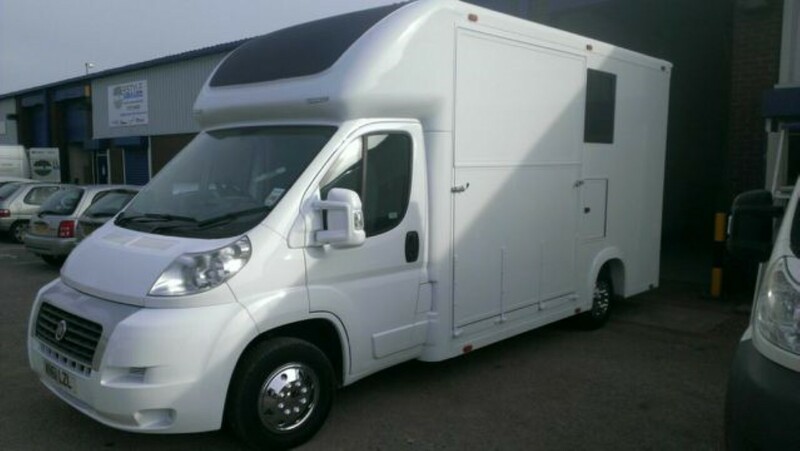 [Equihunter] Team Equihunter has made the journey northwards to Arena UK for the 148cm Pony Premier show being held the weekend of the first and second March. 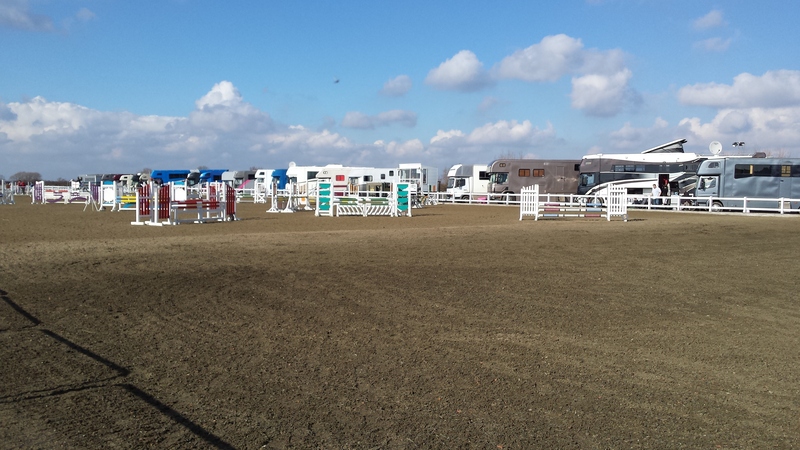 Arena UK covers over 500 acres and regularly hosts a number of national championships. The championship show ground in Lincolnshire plays host to many British Show Jumping Association’s regional and national championships. We hold regular British dressage events and are the home to the British Show Pony Society National Showing Championships. Arena UK offers unrivalled equestrian facilities boasting the UK’s largest outdoor all-weather surface arena, coupled with a magnificent indoor arena, warm-up area, covered collecting ring, ring-side restaurant and dedicated hospitality areas.